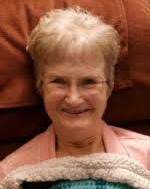 Obituary for Virginia R. (Harris) Salva | Bednarsky Funeral Home Inc.
Virginia R. Salva, 69, passed away peacefully on Thursday, October 4, 2018 at Lourdes Hospital. She was predeceased by her father, Roe Harris; stepfather, John Karaim; a brother, Bob Harris; husband, Stephen E. Salva; and her daughter, Diane Salva Busko. She is survived by her mother, Arlene Karaim; her son, Stephen R. Salva; and her daughter, Joanne Salva; a niece, Kim Harris Eldred; brother-in-law and sister-in-law, Thomas & Bernice Salva; and several nieces, nephews and cousins. Virginia was a member of the Church of the Holy Trinity, where she served as Eucharist Minister and sang in the choir. She was a devoted wife and mother and will be greatly missed. The family would like to express appreciation to the nurses on 1 Ross for the extraordinary care given to Virginia. A Funeral Mass will be offered at 10:00 AM on Tuesday, October 9, 2018, at the Church of the Holy Trinity, 346 Prospect St., Binghamton. Family will receive friends at the church from 9:00 AM until the time of the Mass at 10:00 AM. Inurnment will be in Slovak Catholic Catholic Cemetery at a later date. Memorial donations may be made to Holy Trinity Church. Arrangements by Bednarsky Funeral Home, Inc.